Milan was a wonderful part of our European tour a few years and we met great people, saw fantastic sites and ate exquisite cuisine. 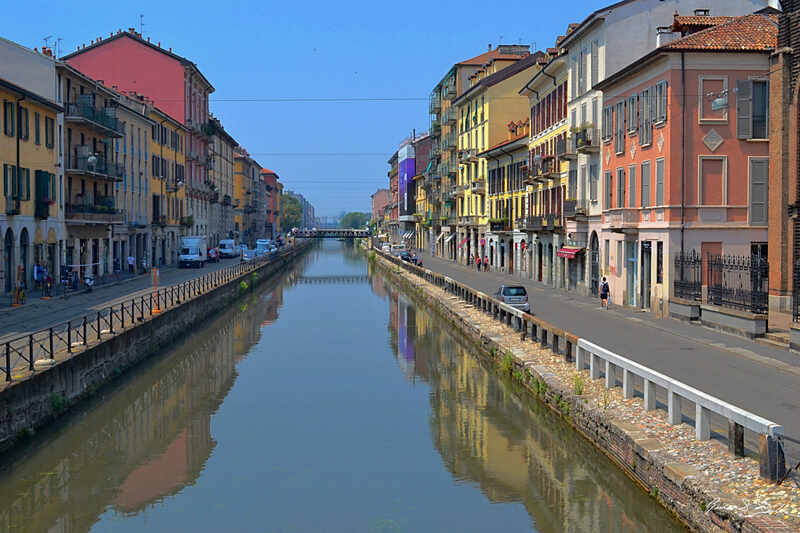 On one of our last days there we were looking for something off the beaten track and saw in a tour book a small note that said not to miss the canals of Milan. I thought Milan has Canals? That’s crazy, so off we went. This is not Venice or Bruges but the canals are lined with antique shops, clubs and bistros and offer short canal boat tours. The colorful buildings help to create an interesting ambiance. You can buy a print of this image at my commercial gallery by clicking here. This week I have been posting images from Holland. Hinda and I visited Amsterdam in April 2001 and we both can’t wait to go back. Next time we will go in May when it is a little warmer and the tulips are in bloom. This is a view of one of the many canals. You can see more images or buy a print of this one at my commercial gallery.